When you create a new task or edit an existing task, you will see a new button appear when you click on the due date — Repeat this task. Turning this on will show you several task repeat settings. You can choose between daily, weekly or monthly. How does each setting behave? When you close this task, a new task will be created immediately, with a due date depending on the interval of days you selected. 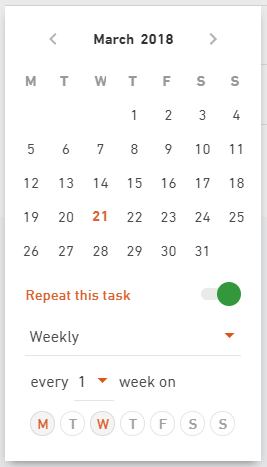 In the case of this screenshot, a new task with a due date for tomorrow will be created as soon as you close the current task. 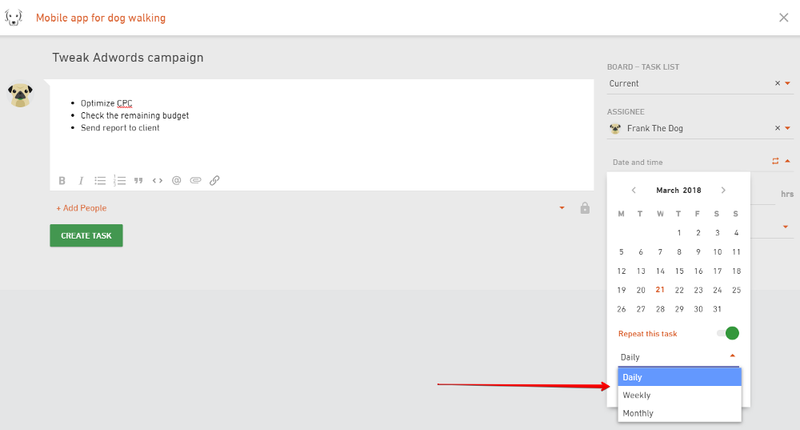 This task will look for the next available event to set a due date on when it’s closed. 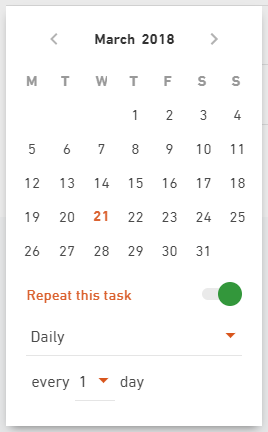 In the case of this screenshot, if you close a task on Monday, it will open a new task with a due date for this week’s Wednesday. If you close it on Wednesday, it’s gonna create a new task with a due date set for next Monday. 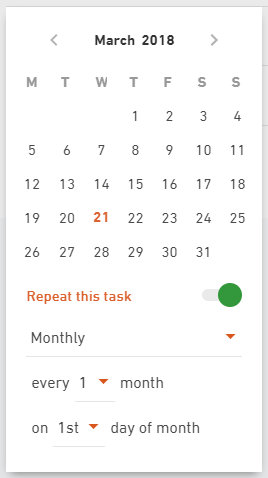 If you create a task with the settings as displayed in the screenshot, a new task with a due date for the 1st day of the next month will be created as soon as you close the current task. You can use this to remind yourself to perform monthly website maintenance.